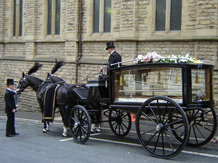 We can provide an original 19th century Victorian hearse drawn by an elegant pair of Black Dutch Friesian Horses, which is driven by an experienced coachman and turned out to a very high standard. You will find it refreshing to still be able to use a family business that is very proud of its high standards and who strives to uphold all the old fashioned traditional values. We can provide this unique service for Bikers who deserve a final ride with dignity and that can only come when they are carried under the power of a motorcycle. Special respect for motorcyclists at such a delicate time shouldn't be considered eccentric, it should be expected. A funeral ceremony is an important time when family and friends will together be focussing their thoughts on the person who has died. It should help them to express and share their sadness but also to celebrate the life that was lived. People committed to a religious faith will normally want a religious minister or leader to conduct their funeral ceremony. But for those for whom religion is less important, or who have made a clear decision to live without it, a humanist ceremony, which uniquely and affectionately honours the life of the deceased, is likely to have more warmth and meaning. 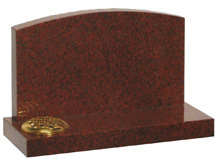 In addition to the traditional range of coffins we can supply a truly personalised coffin with any design or theme including football and rugby clubs. Flowers are traditionally the most silent but visible way to show your emotions and respect. We offer a full florist service and our brochure is included within our bereavement care guide. After the funeral we will remove the cards and return them to you. We can then take the tributes to a destination of your choice so that others may appreciate them. We can arrange for a donation plate at the service. These donations are listed and we will inform you of the amount collected. We usually keep donations for about four weeks after the funeral to allow for late donations. We will then send a cheque to a charity of your choice, which will send a receipt and letter of thanks directly to you. As part of our service we will be pleased to arrange publication of any such notices. Following the funeral you may wish to arrange for refreshments for people who have attended the funeral. We offer our own high quality bespoke in house catering service and have menus available and can arrange this service at a number of neutral venues within the local area. We can produce and print a high quality order of service, which will act as a keepsake for those who attend the funeral. Inside will be the order of service, hymns and poems, details of donations, reception details and thanks from the family. 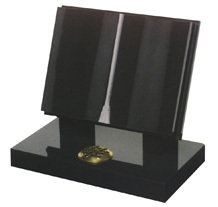 Also as part of our service we provide a card for mourners to sign to enable you to know who has attended the service.